After a big night out, basic activities like eating and drinking need to be easy—possibly even combined. This hangover cure hands you your recovery cocktail and breakfast sandwich in one. It doesn’t get easier than that. 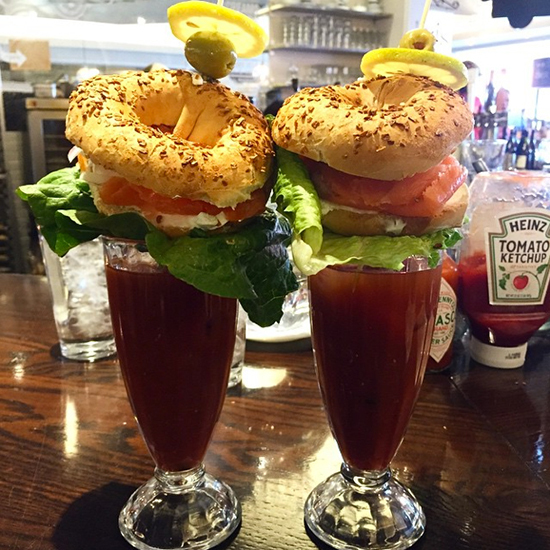 What it is: Mixologist Gina Chersevani’s incredible version of a Bloody called Lox’d & Loaded is far from typical.Her spicy drink comes with the ultimate garnish: a full-sized, freshly baked New York-style bagel smeared with plenty of cream cheese and packed with lox and capers. There is a little lettuce to keep the breakfast sandwich-garnish atop the actual cocktail. Wash it down with: See above.